Since its inception in 1992, Worthy Wage Day has been a time to raise public awareness of the low wages earned by early childhood educators and the negative effects it has on young children. WECA has always been involved in this grass-roots campaign-advocating on behalf of the child care workforce. Recently, WECA released Starting Early, Starting Now: Investing in Teachers to Grow Child Care Quality. This report addresses the need for fundamental changes in how child care is financed in Wisconsin. We sent this report to all members of the Wisconsin State Legislature. WECA staff met with members of the Joint Finance Committee to discuss the value of investing in early childhood education and the necessity for a worthy wage for this workforce. Soon, WECA along with the Center on Wisconsin Strategy will conduct an early childhood workforce study. It will examine providers’ educational levels, experience, job satisfaction, turnover, retention, and compensation. It will also study why child care providers leave this field and where they go. Worthy Wage Day depends on child care providers sharing what the impact of earning a low wage has on themselves individually, their families, and the children they care for. Here then, are perspectives from the field. -Andrea Tallacksen, infant/toddler teacher at Woods Hollow Children’s Center. 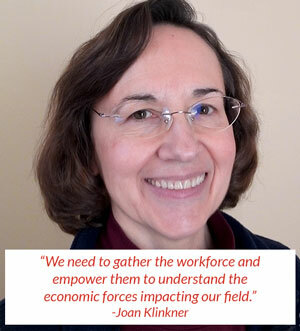 -Joan Klinkner, former child care teacher, instructor at Northeast Wisconsin Technical College. 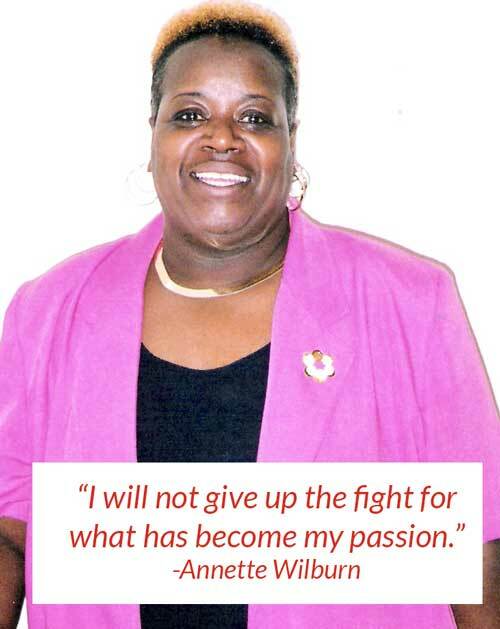 -Annette Wilburn, licensed family child care provider in Milwaukee. 1. Become a Forward for Kids Advocate. Receive email updates on additional advocating opportunities and become a voice for early childhood education. 2. Participate in the #WorthyWages Twitter Storm-Friday, May 1st Noon-1:00 pm. 3. Not on Twitter? Extend the storm on Facebook. Write a post, share your story, or start a discussion on your profile about Worthy Wage Day. Social media has become a strong communication tool. Let’s use it to our advantage. This entry was posted in Uncategorized and tagged Center on Wisconsin Strategy, child care, child care wages, workforce study, worthy wage day. Bookmark the permalink. ← “The Raising of America” and a view from Wisconsin.